Travel Products is an awesome website. They carry all sorts of cool things from Travel Clocks to Power Converters and just recently came out with a Downloadable Travel Checklist. I was given $30.00 to purchase one of their items and I chose the TuneBuds Earphones by Griffin. I was not disappointed at all. They are the best earbuds I have ever had and I will probably continue to only buy these earbuds. Some of the nice things I like about these earphones is he fact that they come with a small carrycase and 3 sets of interchangeable ear cushions. I use my iPod alot for music and videos and the earbuds I normally use aren't all that great. They normally don't make a perfect fit in my ear, the sound is all that good, you can still hear outside sounds. With these new Tunebuds the sound is a lot clearer, background noises aren't near as loud and with the interchangeable ear cushions I can have a perfect fit. The TuneBuds are Earphones for the iPhone and iPod. They have a very powerful bass and crisp clear highs of sounds. High-sensitivity external mic for crystal-clear phone conversations and voice recording. The buds also have a mic that you can use to record with certain phones, iPods etc. The mic supports recording on the iPhone 3G, iPhone, iPod touch, iPod nano, and iPod classic. Go to Travel Products and tell me something you like off the website. #2. Follow Travel Products on Twitter. #3. Like Travel Products on Facebook. #8. Follow my blog on Twitter. This giveaway will end at 12.00p.m on 2/2/12. A winner will be picked by Random.org and will have 48 hours to respond before a new winner is picked. Giveaway open to U.S residents only. Please leave a valid email in at least one of your comments so I can reach you if you are the winner. I like the Bausch & Lomb Sight Savers Eyewear Care Kit. What a great kit to have in my purse! The winding necktie roller case looks great. I like the Ergonomic Digital Scale for airline travel. Helps you avoid going over the weight limits on luggage. At the blog, I found the Travel Checklist that you can download and print so you don't leave anything at home. I like the Comfort Eye Mask. I like Travel Products on Facebook (FB name: Maddie Brubaker). On their blog, I saw a post about Best Kids Apps for Traveling. Very neat. I like the eye mask. I love their cosmetics kits! The brown with blue polka dots is so cute! I found out there is an outdoor zipline in Indianapolis that runs through Super Bowl Village. How cool is that??? Top 10 tips for travelling with kids - new toys! DIY holiday gifts you can easily pack - footprint sign. Cool! I LOVE the 6 piece houndstooth cosmetic set! I follow travel products on twitter! I follow your blog on twitter! I like their Neck Stash product. On their blog, I like the Packing 101 tips! I'd love to have the Embossed Leopard Weekender Duffel Bag! I like the digital scale. I like the tagalongs small purse organizer. I have the large one and it's fantastic! I like the polka dot cosmetic kits. I follow Travel Products on Twitter. I like Travel Products on FB. I learned that TripIt is a free travel organizer that syncs with your email and stores all of your important travel documents and confirmations in one place so you don’t have to waste time digging through your email inbox. 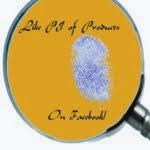 Like PI of Products on Facebook! 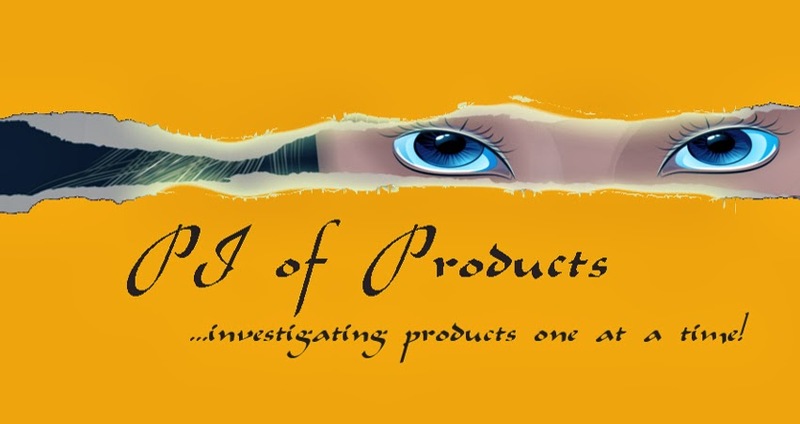 Surprise Box Giveaway at PI of Products! Follow PI of Products on Twitter!